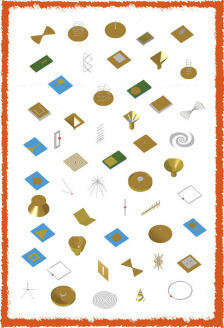 Antenna Magus Version 5.3 released! Image of the Open boundary quad ridged horn. The open boundary quad ridged horn is popular in EMC compliance measurements, and is often used when measuring radiation patterns of test antennas in an anechoic chamber. Total gain 3D patterns at (a) fmin, (b) 2 x fmin, (c) 3 x fmin, (d) 5 x fmin and (e) 9 x fmin. 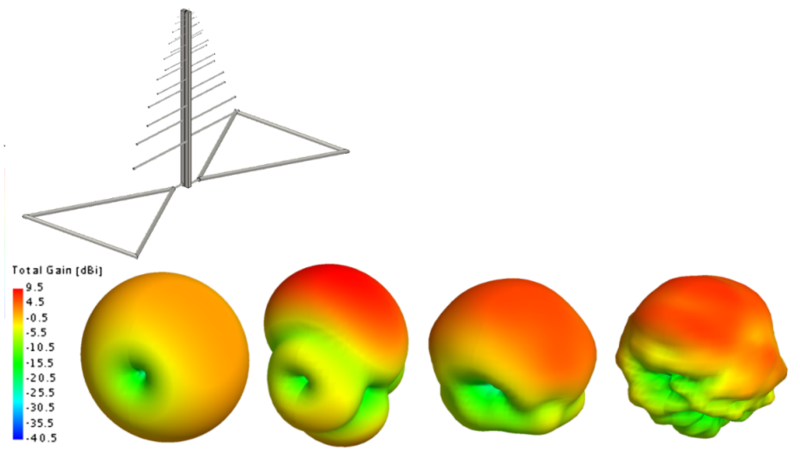 Although the antenna may be seen as a variation of the Quad ridged pyramidal horn, the propagating mode supported by the quad-ridged structure changes from TE (with sidewalls) to quasi-TEM when the sidewalls are removed. The operation mechanism or the antenna is therefore better understood by considering two planar Vivaldi antennas placed orthogonally to each other with co-located feed points. A major advantage of removing the sidewalls is that the on-axis gain dips prevalent in classic quad-ridged horns with sidewalls are eliminated - though the overall gain is generally reduced. 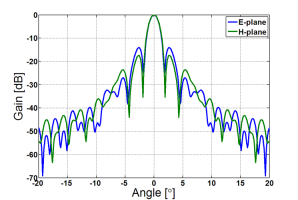 The designed antenna achieves a VSWR below 3:1 over a 9:1 bandwidth with a relatively stable on-axis gain, especially considering its compact nature. At the upper end of the band the pattern shape does degrade to some extent. The gain typically varies between approximately 8 and 14 dBi across the 9:1 band. 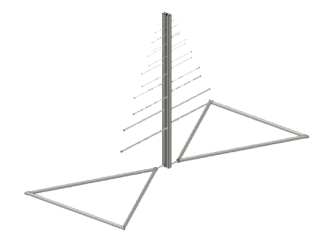 The antenna may be divided into two distinct sections — a coaxial-to-ridged-waveguide transition as well as a flared ridge section. The feed section aims at proving a good return loss for both vertical and horizontal polarization. 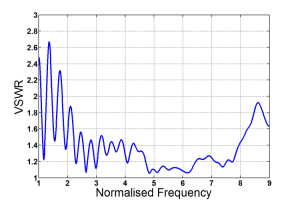 Typical VSWR behaviour versus frequency. 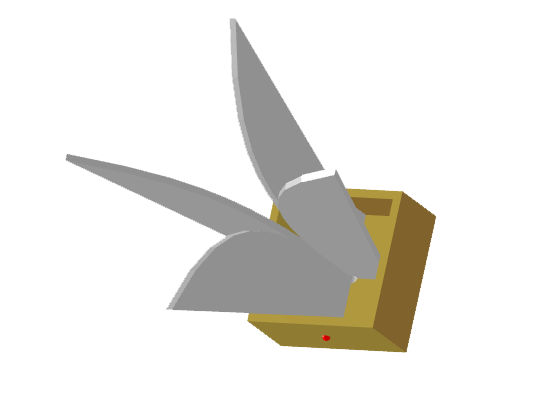 Image of the LPDA Bow-tie hybrid with square boom. 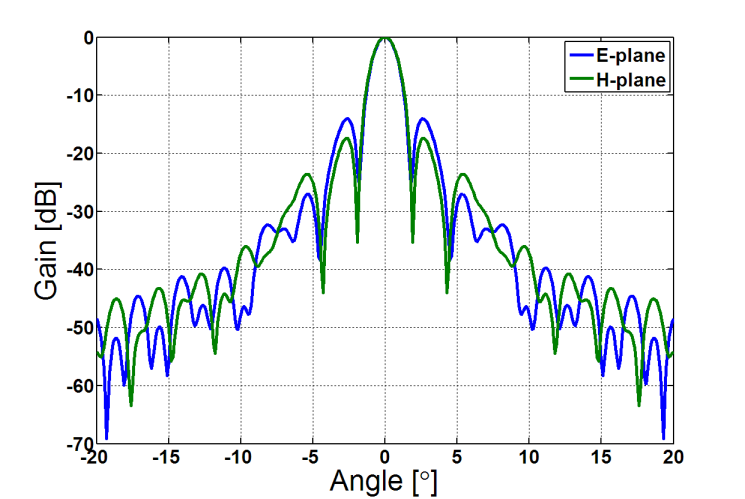 The LPDA-bow-tie hybrid is - as the name suggests - an antenna combining an LPDA and a bow-tie. This antenna is widely used in EMC (electromagnetic compatibility) testing and is commonly known in the EMC industry as a BiLog, BiConiLog or bicon/log hybrid. 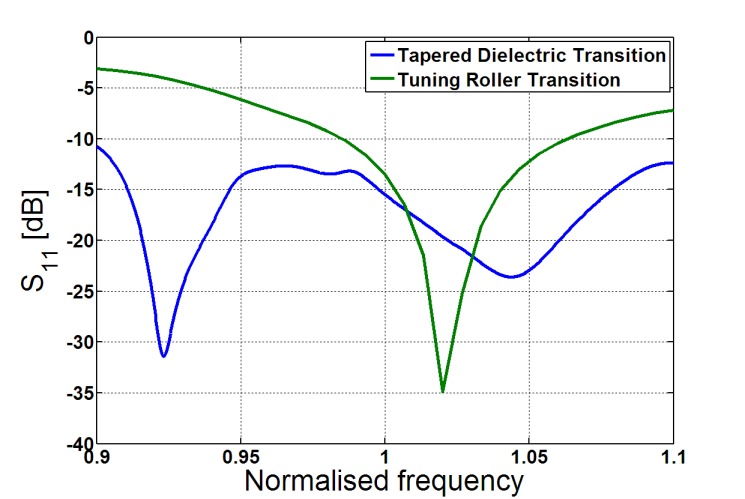 The primary reason for combining a bow-tie with an LPDA is to eliminate band breaks in frequency sweeps during EMC testing, thus reducing test time and effort. At the lower end of the operating band the performance is that of an electrically small bow-tie (the S11 will be very high and the radiation pattern will be omnidirectional). At higher frequencies, the antenna will operate more like an LPDA (a higher stable impedance that is easier to match, with an end-fire radiation pattern). The LPDA bow-tie hybrid antenna with typical total gain patterns at fmin, fmin_lpda, 2.5fmin_lpda and fmax for an optimum performance. 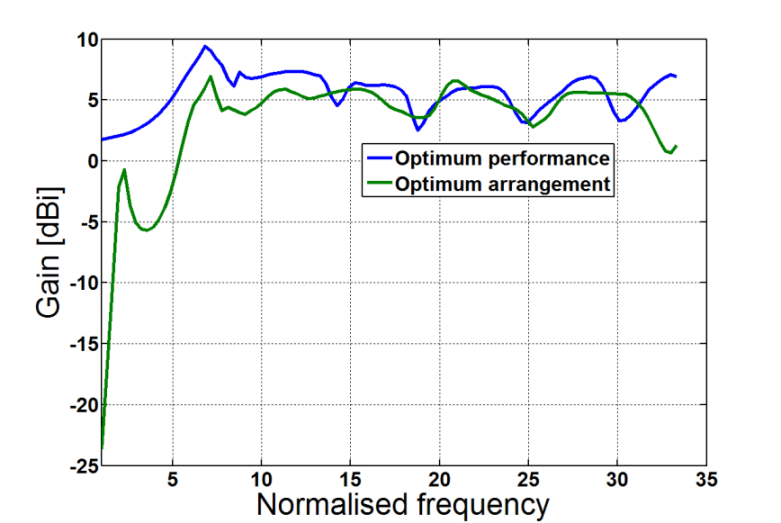 The S11 at the low frequency end can be improved through various means, such as resistive loading. 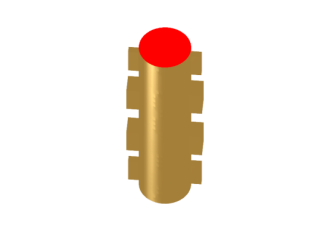 When resistive loading is used, less elements are needed for the LPDA design. 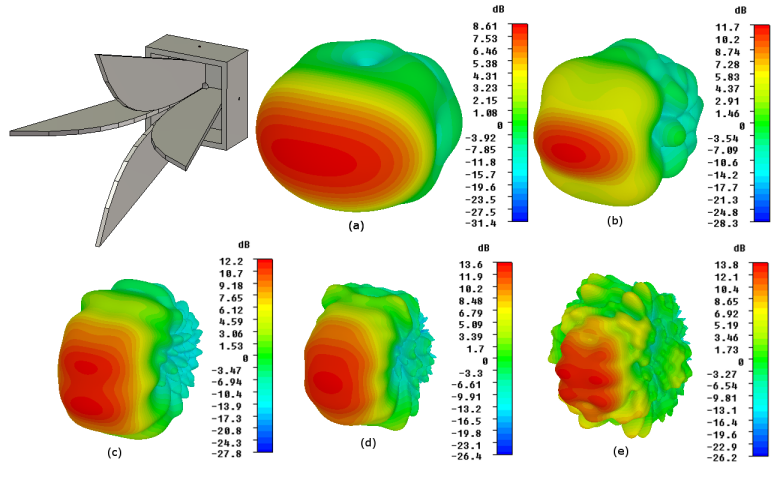 This approach, however, is not feasible for EMC testing as it introduces noise to the measurement setup. 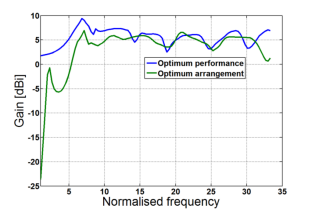 For this reason Magus allows two design options: ‘Optimum arrangement’ which uses resistive loading and fewer LPDA elements and ‘Optimum performance’ which has more LPDA elements, but no resistive loading. 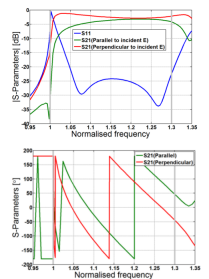 These two options are illustrated in the figures below, where the impact of the resistive loading can clearly be seen in the gain and reflection coefficient at the lowest frequencies. 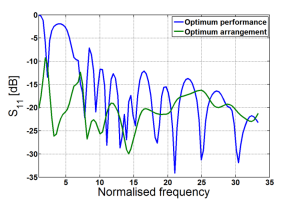 Typical on-axis gain versus frequency. 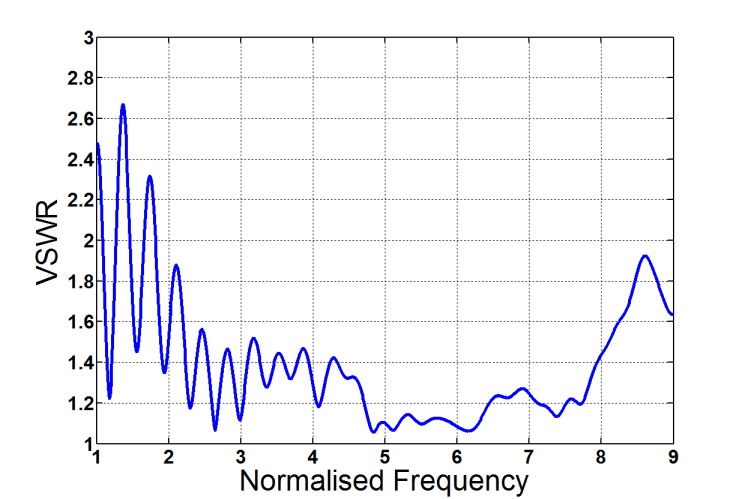 Typical reflection coefficient versus frequency in a 50 Ohm system. 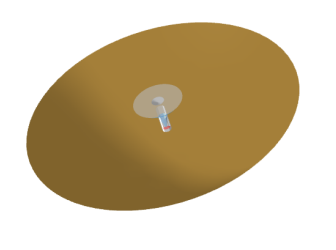 The EMC wire biconical antenna (also commonly known as the wire, skeletal or phantom biconical), is the most common configuration for EMC measurements in use between 20 and 300 MHz, with either conical log spirals or LPDAs used from 200 MHz to 1 GHz. Although the antenna performs less than optimally in the low frequency range of operation that is often claimed, it has attained universal acceptance in the EMC industry. By using a standardised design based on MIL-STD 461 (U.S. Military Standard), repeatable measurements can be ensured. The EMC wire biconical operates like a dipole antenna, but the skeletal assembly approximates a conic surface (similar to a bicone), resulting in stable impedance over a wide frequency band. The EMC wire biconical requires a balanced feed, and a balun should be used between antenna and transmitter/receiver. The antenna is vertically polarised, and - although the radiation pattern of the antenna changes significantly with frequency - remains omnidirectional and rotationally symmetric in any horizontal plane. Image of the Circular waveguide double-grooved linear to circular mode transducer. 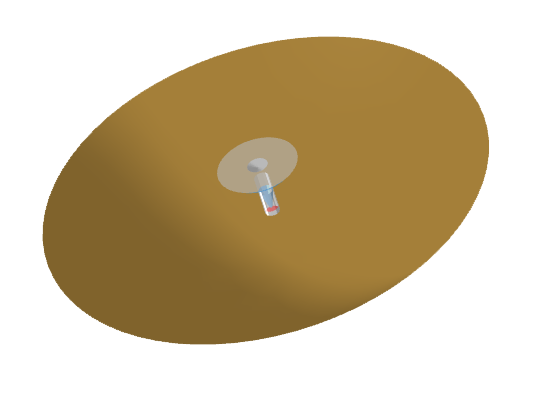 Circular polarised antenna systems often require a mode converter to convert between a single mode (generated by a transmitter or required to drive a receiver) and two orthogonal modes with a 90 degree phase difference (at the antenna feed point). The requirements for such converters are high performance (low loss) and compact size. The double-grooved linear to circular mode converter operates on the TE11 mode and generates orthogonal modes with the required phase shift through the simple addition of several grooves in the wall of a section of circular waveguide. In the double grooved mode converter, grooves are aligned in a straight line, positioned on opposite sides of the waveguide and orientated +/-45 degrees with respect to the circular waveguide cross section. Each row of grooves consists of two centre and two end grooves. 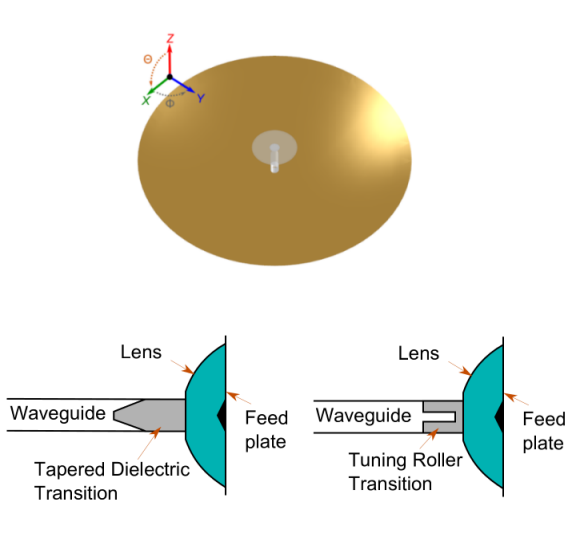 The circular waveguide used in the double grooved mode converter is designed in such a way that it allows the propagation of the first two fundamental circular waveguide modes (TE11 and TM01), but not the third mode (TE21). This limits the operational bandwidth to an absolute maximum of 24% (cutoff frequency ratio between the TM01 and the TE21 is approximately 1.27:1). 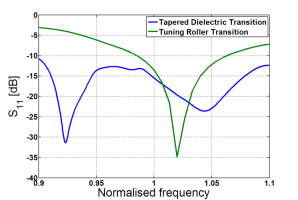 The graphs on the below are normalised to the cutoff frequency of the TM01 mode. The grey lines indicate the TM01 and the TE21 cutoff frequencies respectively. 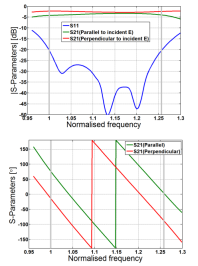 In order to show the circular output mode, transmission coefficients in a plane parallel to - and perpendicular to the incident E-field of the TE11 mode are plotted. These two orthogonal TE11 output modes and the 90 degree phase difference between them show how the mode converter splits the power equally and introduces a 90 degree phase difference between the two orthogonal modes when the operating frequency is between the grey lines. 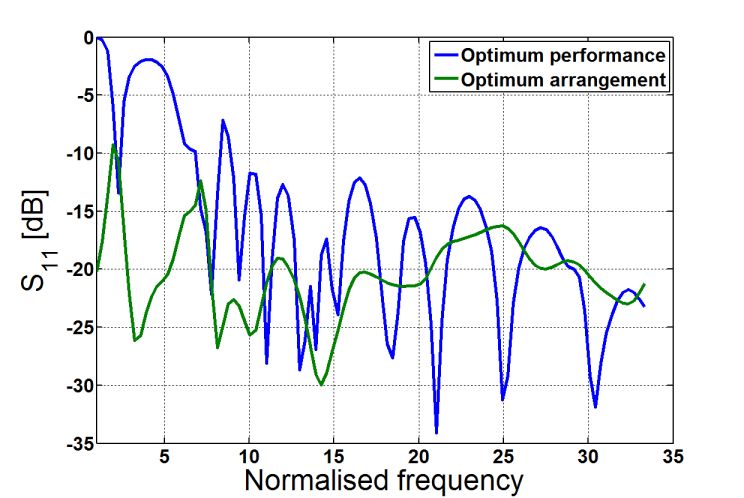 Typical reflection and transmission coefficient magnitude (top) and phase (bottom) versus frequency for the double-grooved converter. Image of the Circular waveguide single-grooved linear to circular mode transducer. The single-grooved linear to circular mode converter operates on the TE11 mode and generates orthogonal modes with the required phase shift through the simple addition of a single groove in the wall of a section of circular waveguide. In the single grooved mode converter, grooves are aligned in a straight line, positioned on opposite sides of the waveguide and orientated +/-45 degrees with respect to the circular waveguide cross section. Each row of grooves consists of two centre and two end grooves. 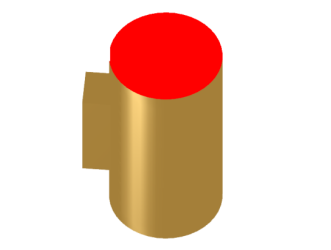 The single grooved converter employs a circular waveguide that supports the propagation of only the first fundamental circular waveguide mode (TE11) but not the TM01 mode. This limits the operational bandwidth to an absolute maximum of 26% (cutoff frequency ratio between the TE11 and the TM01 is approximately 1.3:1). The graphs on the right below are normalised to the cutoff frequency of the TE11 mode. The grey lines indicate the TE11 and the TM01 cutoff frequencies, respectively. 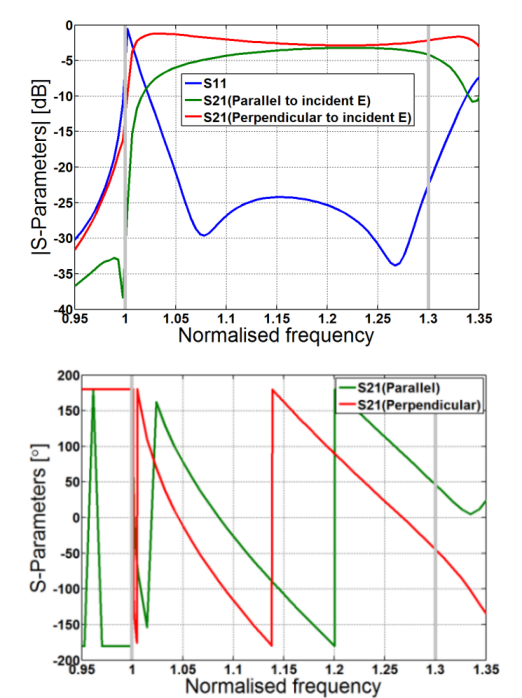 In order to show the circular output mode, transmission coefficients in a plane parallel to - and perpendicular to the incident E-field of the TE11 mode are plotted. These two orthogonal TE11 output modes and the 90 degree phase difference between them show how the mode converter splits the power equally and introduces a 90 degree phase difference between the two orthogonal modes when the operating frequency is between the grey lines. 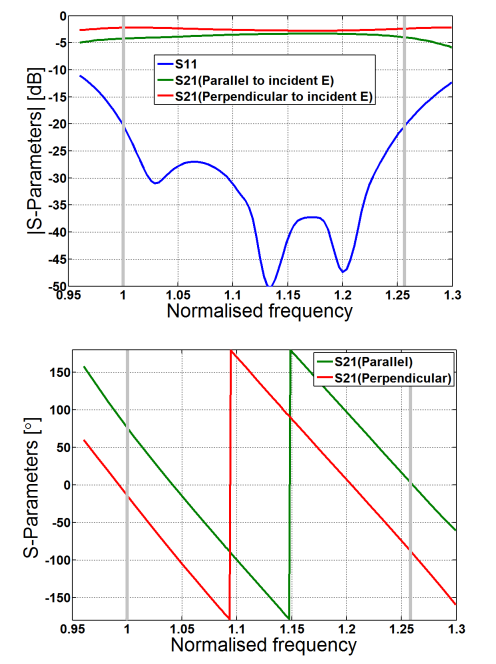 Typical reflection and transmission coefficient magnitude (top) and phase (bottom) versus frequency for the single-grooved converter.